The Empire is building a super weapon, one that has the power to destroy entire planets. 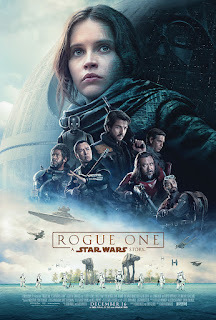 It's up to Jyn Erso and a rag-tag group of rebels to gain the information the Rebellion needs to destroy the Death Star. Join us in our review of the latest in the Star Wars saga, Rogue One. May the squee be with us.